New 1.7 version of Navigator for iOS released! Navigator 1.7 for iOS devices has been released. It inludes Text-To-Speech, which increases voice navigation information with audible street names, many new customisation options and further improvements. 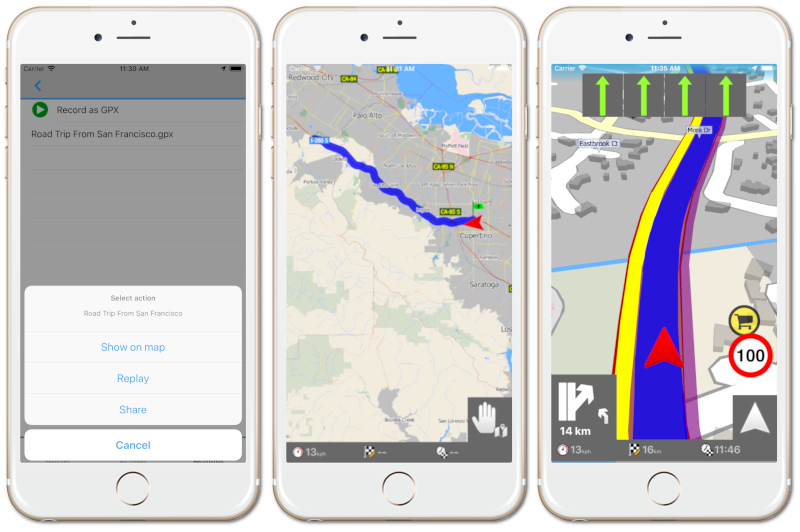 MapFactor GPS Navigation Maps 1.6 for iOS has just been released allowing you to record your trips as GPX files which can be replayed or shared later. You find this feature in My Places / Recordings. New TomTom maps for Navigator available! New TomTom maps for Navigator are now available for Andoroid and iOS version of the app. Optional TomTom maps offer enhanced map coverage for normal as well as large vehicles. Users can buy them directly in the app (Map manager / Buy maps).